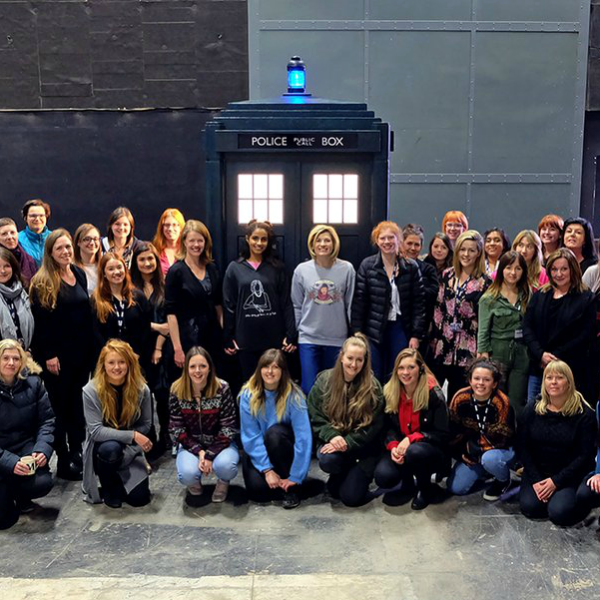 Doctor Who has marked International Women’s Day 2018 with the release of a brand-new photo featuring the show’s female cast and crew. 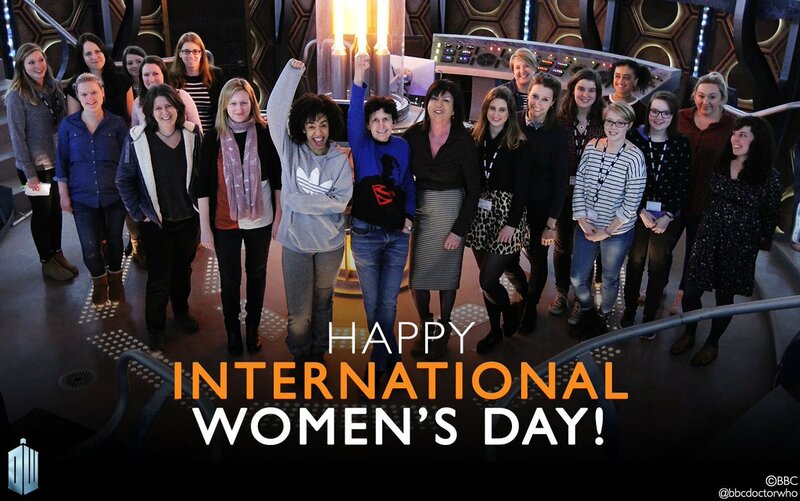 In the centre of the special image from the show’s official Twitter account are new Doctor Jodie Whittaker – the first official female incarnation of the Time Lord in Doctor Who’s history – and Mandip Gill, who also joins the programme this year as new companion Yasmin. 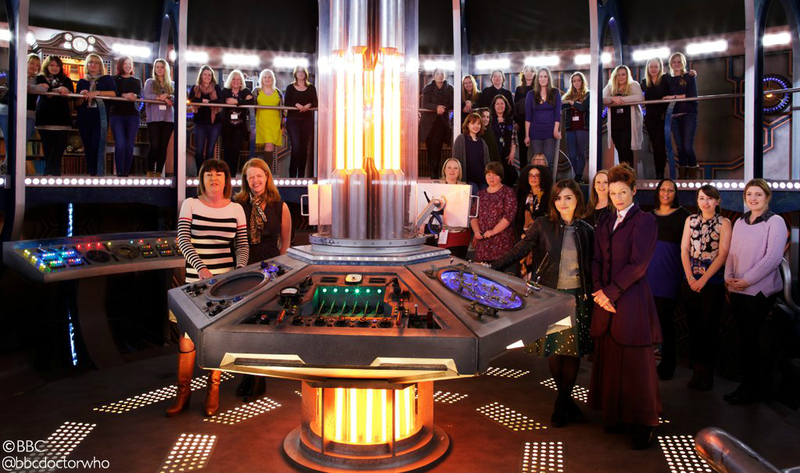 The annual International Women’s Day photo from the show is now becoming somewhat of a tradition, with images paying tribute to the show’s female cast and crew also released in 2015 (below left) and 2017 (below right). With no series in 2016, the absence of a group shot from that year is due to the show not actively filming at that time. In addition to the new image, today sees the launch of a new Doctor Who short story collection from Puffin exclusively penned by female writers. The Day She Saved The Doctor stars companions Rose Tyler, Clara Oswald, Sarah Jane Smith and Bill Potts in four brand-new adventures, with Doctor Who writing debuts from comedian Susan Calman and novelist Dorothy Koomson featuring alongside stories from established Doctor Who authors Jenny Colgan and Jacqueline Rayner. Also out in time for International Women’s Day is a short story collection featuring the never-seen-before exploits of the show’s first female incarnation of the Master, Missy. The Missy Chronicles, published by BBC Books, includes contributions from Jacqueline Rayner, Cavan Scott, Paul Magrs, James Goss, Peter Anghelides and Richard Dinnick. The eleventh series of Doctor Who, which will star Whittaker and Gill alongside new companions Tosin Cole (Ryan) and Bradley Walsh (Graham), is currently filming and is expected to air this autumn.